These sketchs and drawings were made on 'rest days' while filming Rough Science 3 and are part of my on-going nesta fellowship work. 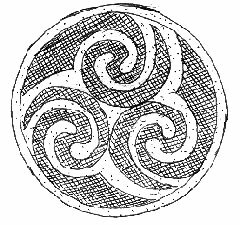 Maori art work is very beautiful and an inspiration. 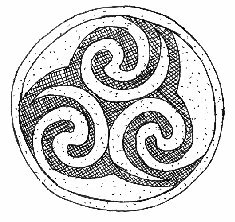 The spiral is a powerful Maori symbol and I have tried to use this in a number of designs. 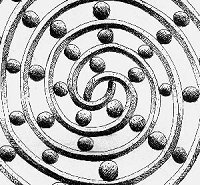 The spiral is a double spiral and so brings together in a wonderful way the pairs of opposites, or 'compliments', found in nature such as; day and night, birth and death as well as male and female etc. 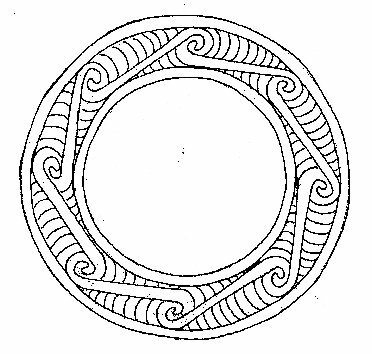 Also shown below are Maori woodcuts that I sketched and used as a basis for a circular frame design. 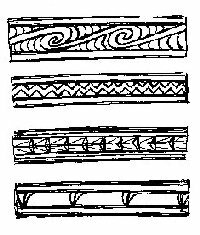 Finally in the bottom table I show sketchs of some of the wonderful Jade carvings that I saw in the workshops at Hokitika (West coast of New Zealand). I would like to thank the many Jade carvers in the town for supplying, and in some cases giving me, Jade for my own future carvings as well as sharing advice, knowledge and stories. 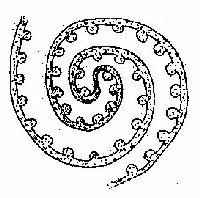 (4) 'Heart of Gold', leaflet showing drawings of jade carvings from which many of the above where taken, 24 Tancred St., Hokitika, NZ.